An Award !! Yes Me !! 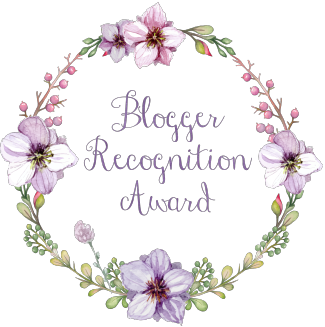 Now I have to nominate the next Blogger Recognition Award recipients, these are in no particular order and every blog I follow deserves a nomination !! I only chose 8 blogs forgive me !! You did indeed! 🙂 I must check out your pages you tagged hen I have time. Oh, thank you for nominating me… And for reminding me about K9’s blog, it really has been too long since I last checked in with him! I’ll hopefully get around to responding to it soon, once my to-do list shrinks down to more manageable proportions 😀 Have a super day, and congratulations on your latest award! Hahaha my to do list is wrote on the back of a roll of wallpaper it’s that long !! Why yes, yes I do! Good point 😀 And while we’re here, does ANYONE actually like liquorice?! Oh,you are so right! !I’m writing just now a memo for the class and then will start a new pair of sock to wear that day. And there is a lot of housework to do so…. oh, I have to take a deep breath…. there will be more peace after Abilmente…. I’m the fortunate one concerning my job after all how many of us get to share someone’s perspective on their first date, being a family of 9 on the breadline, how they became a missionary in Africa, and how they survived when everyone else was killed when a bomb hit an air raid shelter, although my lovelies may forget what they had for lunch, or where they are now the capacity for some as far as their long term memory is amazing.